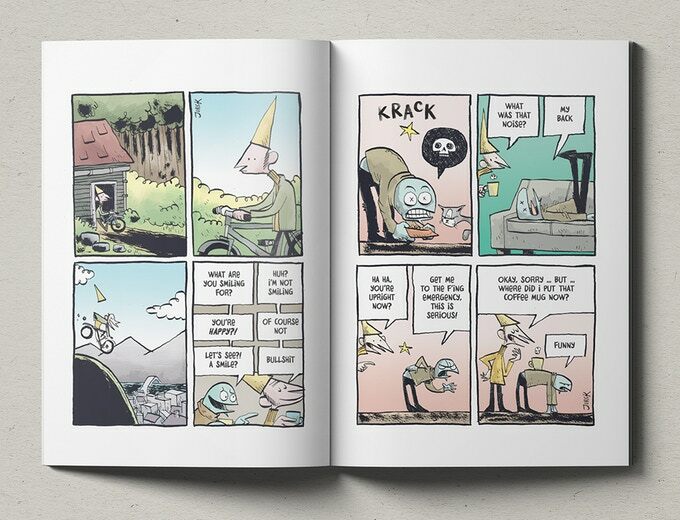 The who and what: The latest collection of Norwegian comic artist Jens K Styve’s newspaper strip. A project with autobio leanings, Styve describes it as “a comic about a guy not totally unlike myself, trying to make it far up north, in Tromsø.” Three volumes have been published to date. 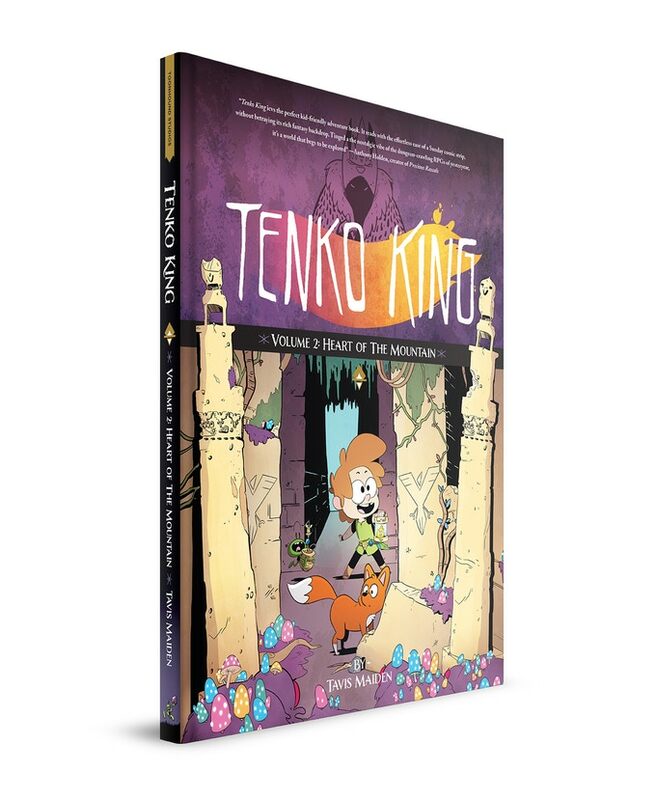 What’s on offer: This is a lean and efficient rewards package with options to pick up just the current issue in digital or print, the four-issue set and an original drawing tier. 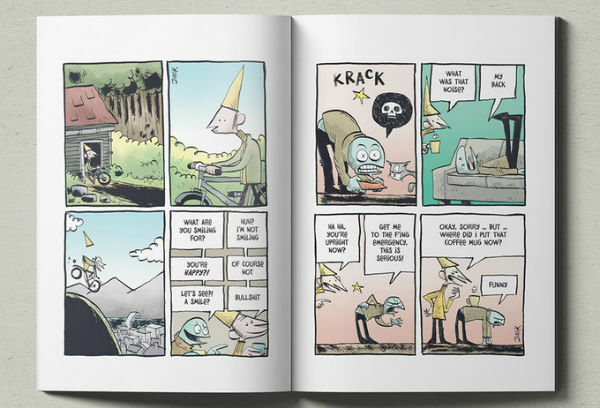 Why you should back it: Scandinavian blog Serienett has said of the project “(Dunce is) one of the most important Norwegian comics, regardless of genre, of 2017.” If you were at this year’s ELCAF you may have already picked up some earlier Styve Dunce goodies, and Jens was also a guest at our most recent Gosh! Comics and Broken Frontier Drink and Draw. 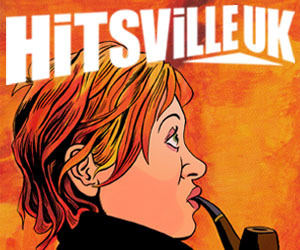 Consider this an entry point into Styve’s witty and very human comics material. The who and what: Reprinting the classic 1960s Oldhams comics work of the legendary Ken Reid from Wham!, Smash! and Pow! including Frankie Stein, Jasper the Grasper, Queen of the Seas, Dare-A-Day Davy and The Nervs. What’s on offer: Rewards are stripped back to the basics here (but what basics they are!). You can order individual volumes of the two-volume set if you have particular favourite strips or, as we imagine most will, buy the two-volume box set. Why you should back it: The most recent collection of Ken Reid’s classic material came via Rebellion’s Treasury of British Comics range, bringing back the much-loved Faceache character to a whole new audience of readers and this, albeit via a different publishing outlet, is a very welcome follow-up. Reid was a genius. There was no one quite like him before and there’s been no one quite like him since. There’s no hyperbole in saying that and it’s a joy to see that singular talent being recognised again. Back the Indiegogo campaign here! 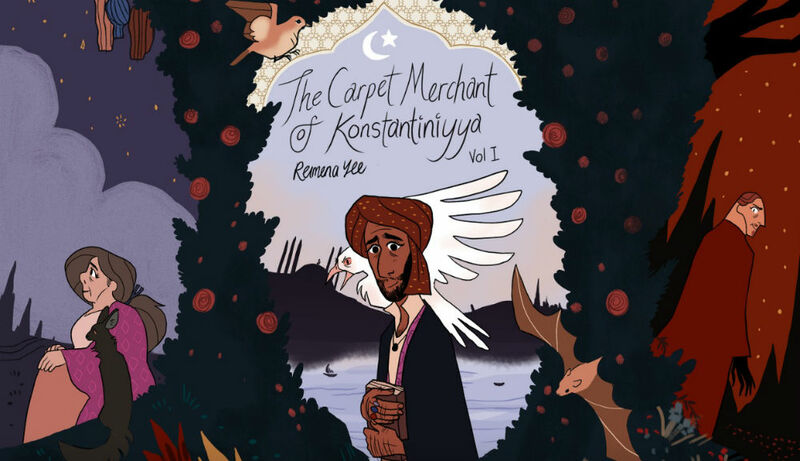 The who and what: Originally published online, Reimena Yee’s gorgeously illustrated saga follows a carpet merchant in 17th century Istanbul from his younger days to his supernatural transformation in later life. What’s on offer: Extra rewards include enamel pin, postcard, print and bookplate options. At the upper end tiers there are also commissions on offer. Why you should back it: Eisner Award-nominated in its webcomic incarnation and it’s not hard to see why! 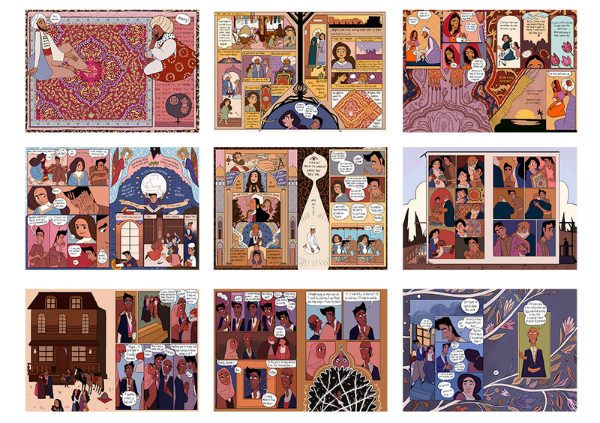 Yee’s pages are a visual feast with their Ottoman era stylistic influences. Unbound’s graphic novels Commissioning Editor Lizzie Kaye continues to build up a truly eclectic and diverse list of comics projects! The who and what: The second volume of the online all-ages fantasy series comes to print as we follow misadventuring explorers Flip and Kuma in their encounters with pirates, curses, monsters and magic! What’s on offer: Pin, bookplate and an add-on volume 1 reward level are all available. At the higher end you can make a cameo in the upcoming third volume of the story. There’s also a number of “backer quests” extras just waiting to be unlocked. Why you should back it: With extra story pages and what we’re promised are world-building supplementary sketches there’s a wealth of new material on offer here. Tavis Maiden’s accessible, all-ages approach and energetic cartooning are an instant draw and this looks like an excellent starting point series for a younger reader.